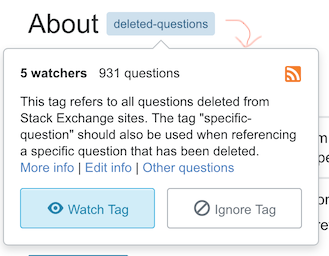 When hovering over a tag 'under' a question, a popup with extended information is shown. While the usefulness is under discussion, and people like me write userscripts to fill the gaps, I noticed it's not being applied consistently throughout the system. This leads to situations where the tag in the top of the page has a hover popup (right), but the same tag a few lines below doesn't. Another place to add the popup would be the 'Related Tags' widget in the right sidebar of the tag info pages (right). 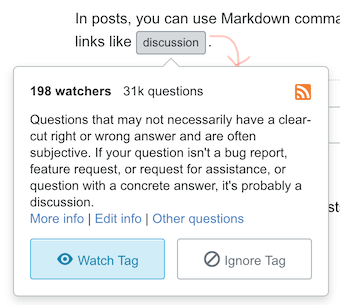 Browse other questions tagged bug tags markdown popups .